Prof. Strahinja Sajin teaches Guitar, Piano, Keyboard, Bass Guitar, Music Theory, as well as Saxophone, Clarinet, and Accordion at the Shine School of Music. A true master of the arts, Prof Sajin is the original founder of Shine Music School in South Africa, Germany and Serbia. When this truly accomplished musician visits the Barcelona school he brings with him not only his ample arsenal of skills of but five decades of experience in teaching, performing, composing and music publishing. 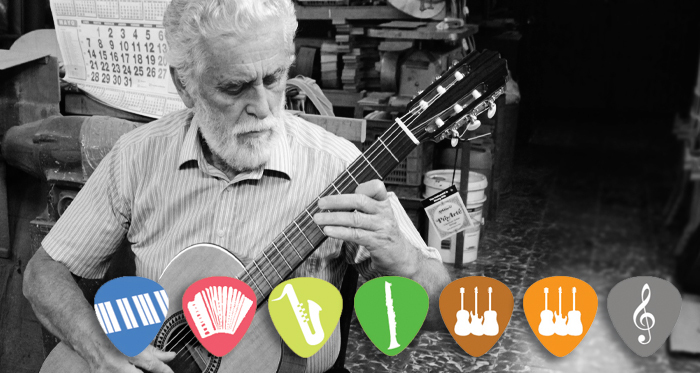 Porfessor Sajin was one of the principal motivators of the proliferation and development of classical guitar throughout former Yugoslavia during the second half of the twentieth century. These days, Prof Sajin teaches a wide array of instruments with and spends his time sharing his profound knowledge and experience between the Shine Music School in Johannesburg, South Africa, and the Shine School of Music in Barcelona, Spain.